Dramatically upgrade handling and stability with the same Long Travel Suspension Kit used on the Holz Racing Commander. 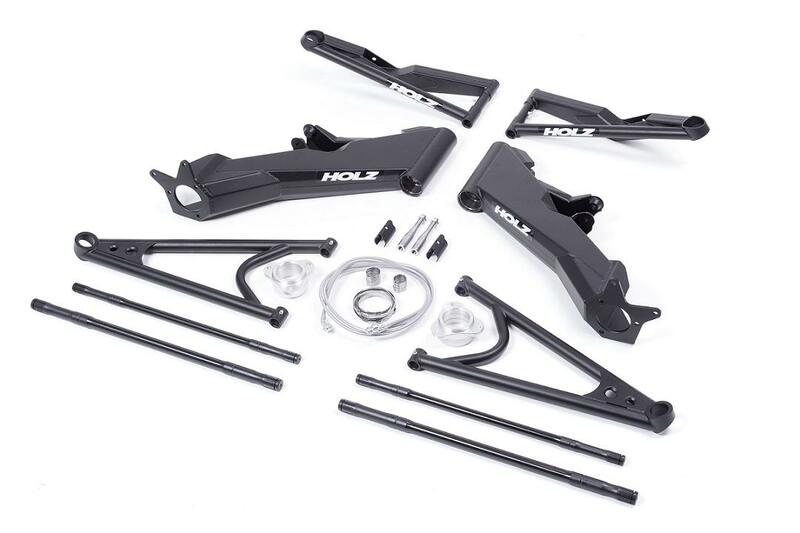 This kit is 3” wider per side for increased handling capability and re­sistance to roll overs. Wheel travel is increased to 11.5” and wheel base is +4” longer.